Managers in Partnership (MiP) is the specialist union for managers and other senior staff working in health and care services: we offer personal support, collective representation, a public voice and career development to more than 6000 members – UK-wide, and across the public, private and voluntary sectors. Through our nationwide network of full-time staff and trained volunteers, supported and coordinated by our London head office, MiP works to defend and further the interests of managers across our health and care systems. We protect individual members during disputes with employers, ensuring that their rights are respected. And we champion managers as a group – negotiating to improve their remuneration and working lives, and improving public understanding of the vital role they play in delivering and improving patient care. We offer training, events, information and peer support to help our members build their skills and develop their careers, including services ranging from best practice coverage to our annual Members’ Summit. 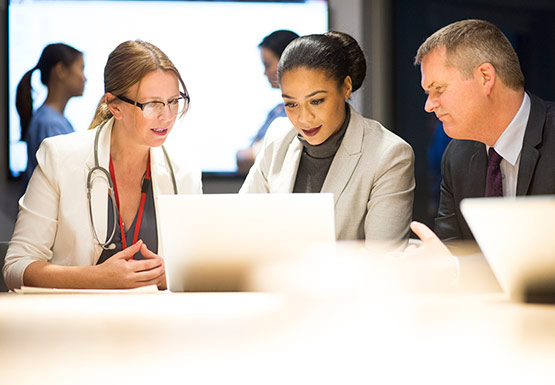 Our members include both clinical managers and non-clinical health and care practitioners such as estates and finance managers, directors and chief executives. Our eligibility criteria explain the roles and groups whose needs are met by our services. As our name suggests, we believe that our goals are best realised by working in partnership – with our colleagues in the trade union movement, with employers, and with clinicians, support staff, other representative organisations and professional bodies. Our members are motivated by their commitment to improving patient care and the working lives of health care professionals: we campaign both for fair salaries and good working conditions for all staff, and for proper investment in services. We seek to offer excellent value for money to our members, with those employed in full-time roles paying monthly fees ranging from £25.60 to £33.80, depending on your earnings; these fees have been frozen for some years. And in all of our work, MiP seeks to protect and promote equality: we challenge all forms of discrimination, and work to ensure that our health and care services can realise the full potential of every employee. Find out more about our history and affiliations.